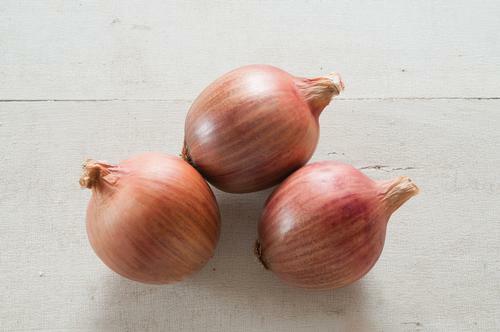 We trialed this lovely storage onion and all gave it thumbs up, so decided to add it to the catalogue. Somewhere between a yellow onion and a red one, the thick skin is a great pinkish-brown shade, flesh is white with pale purple rings. Good sized bulbs and they stored like champs; kept well into April in my root cellar--even longer if you transfer them to the fridge.